What results are you good at getting? What abilities are necessary to get the needed results? What abilities are counterproductive to getting the required results? Doing this consistently will certainly expose your strengths and weaknesses over time as well as your ability to achieve your objectives as planned. In terms of what action to take afterwards, Drucker’s recommendation is to concentrate on putting yourself in situations where your strengths show and improve your strengths, while shunning “intellectual arrogance”. I particularly find the concept of feedback analysis quite versatile because it can be applied to one’s professional development as well as the concept of implementing business projects successfully over time. 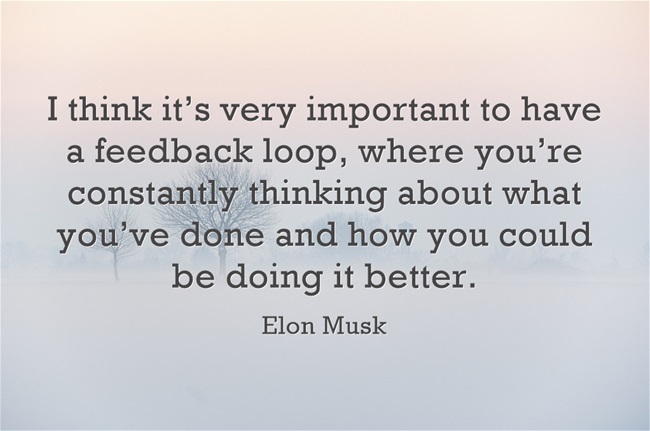 Feedback analysis can give insight into your performance, whether as an individual or as a team. It’s crucial to understand that while feedback may be received directly from users of our end products or services, it can also be done the “Drucker” style by comparing what a certain project or team was expected to achieve with what it actually achieved. This is one activity we don’t appear to do naturally as a team — going back to review past projects and comparing actual results with the objectives. With the pace of changes in the business world and the ever-increasing appetite of business users to churn out change requests, one can argue that this is quite understandable. However, it’s important to spend some time evaluating past projects to strengthen the quality of future projects and improve learning among team members. Highlight which areas of your project or business analysis approach need improvement. Comparing one’s expectations with the actual outcome is an effective way of learning more about oneself, the team and evaluating the effectiveness of one’s efforts or the team’s efforts over time.